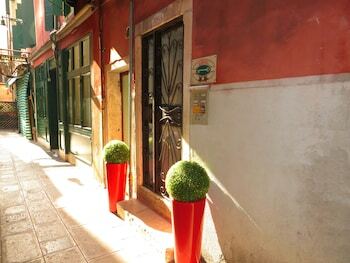 With a stay at Hotel San Salvador, you'll be centrally located in Venice, steps from Rialto Bridge and within a 10-minute walk of St. Mark's Basilica. With a stay at B&B Piazza Fratti in Civitavecchia, you'll be on the waterfront, just a 4-minute walk from Forte Michelangelo and 6 minutes by foot from Port of Civitavecchia. When you stay at Club Kotobuki in Castel San Pietro Romano, you'll be 15 minutes by car from Sanctuary of Fortuna. A train station pick-up service is provided at no charge. When you stay at Appartamenti la Principina - I Casali in Grosseto, you'll be within a 10-minute drive of Port of Marina di Grosseto and Forte di San Rocco. Free self parking is available onsite.